"Things are good, but they’re getting risky." 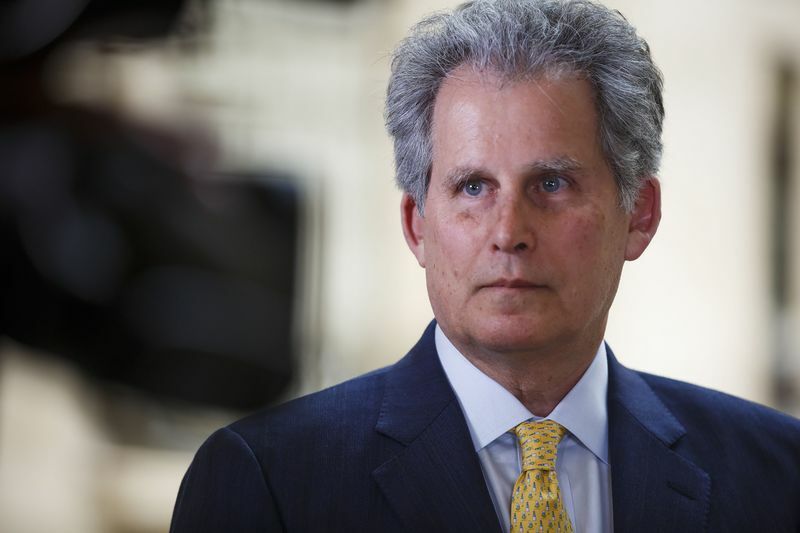 That’s how David Lipton, first deputy managing director at the IMF, characterized the global economic state of play in a Bloomberg Television interview. His observation captured the mood at the International Monetary Fund and World Bank spring meetings in Washington, where the best upswing since 2011 gave cause for optimism even as fears of rising protectionism dominated discussions. While the IMF left its forecasts for global growth this year and next at the 3.9 percent it estimated in January, it flagged plenty of worry spots, too. Record debt was highlighted as a threat to financial stability, and officials warned that growth will fade as central banks tighten monetary policy, U.S. fiscal stimulus subsides and China’s slowdown continues. 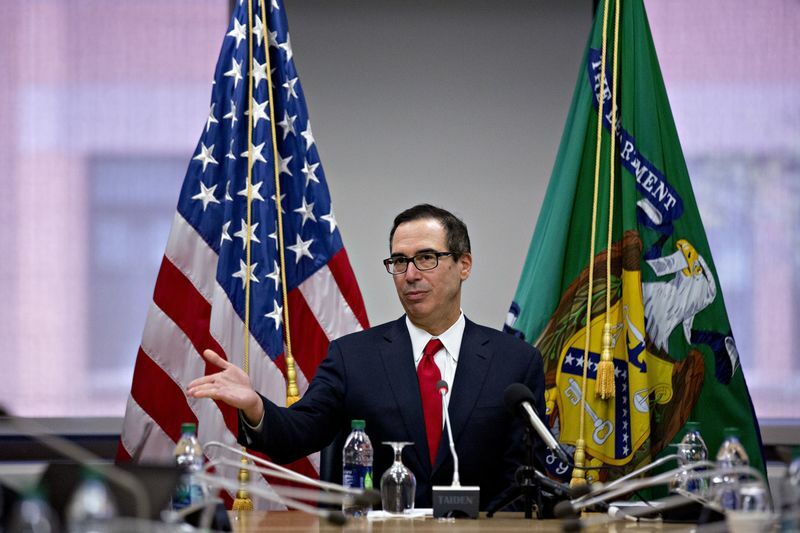 U.S. Treasury Secretary Steven Mnuchin said he’s considering a trip to China and is “cautiously optimistic” of reaching an agreement that avoids growth-suppressing tariffs. Officials attending the meetings said a full blown trade war remains one of their biggest worries. 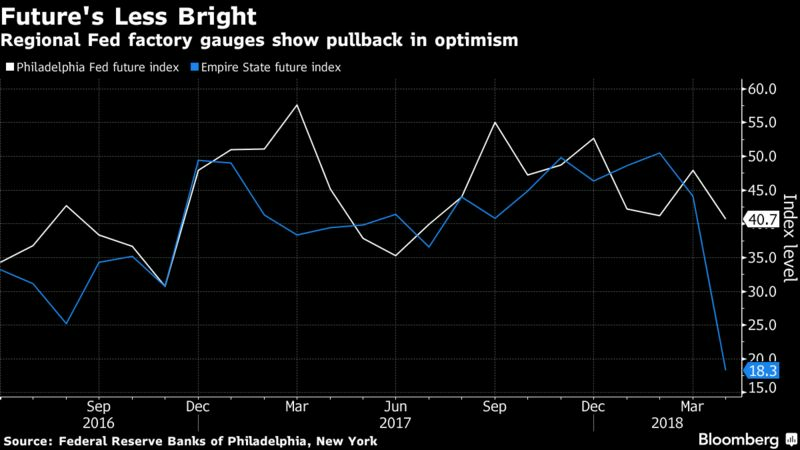 A communique by the IMF’s main advisory committee, released Saturday, represented a ratcheting-up of pessimism since the group’s last semiannual meeting in October. IMF Managing Director Christine Lagarde warned that business confidence will take a hit. Central bankers sounded the alert that a trade war would leave them worrying more about the economic fallout than any boost tariffs would give to inflation. Colombia’s central bank president said a trade war would be "catastrophic," his Paraguayan peer said it would be "bad for everyone," while Japan’s chief described protectionism as "very undesirable." While trade stole the show, the IMF also dialed up its warning about financial threats. The fund said risks to financial stability have increased over the past six months, a shift that could make the road bumpy for markets in the coming months. In particular, the IMF is worried that markets might be underestimating the threat of an inflation shock in the U.S., where the Trump administration is increasing fiscal stimulus with the economy at or near full employment. A surge in inflation might force the Federal Reserve to raise interest rates faster than expected, a move that might cause turbulence in emerging market. The fund warned that global public and private debt has reached a record $164 trillion. A spike in interest rates would test the ability of borrowers to refinance all that debt. Data refer to the global gross debt (both public and nonfinancial private) for an unbalanced sample comprising 190 countries. In an unusual rebuke, Mnuchin urged the IMF to address the world’s economic imbalances as a fund official suggested the Trump administration is going about the task the wrong way. Mnuchin said global trade imbalances are roughly a third larger than they were in the 1980s and 1990s, and show no signs of narrowing. Countries with “persistent external surpluses” need to do their share to rebalance trade, while the IMF should be more vocal, he said. “The IMF must step up to the plate on this issue, providing a more robust voice and consistently noting when members maintain macroeconomic, foreign exchange, and trade policies that facilitate unfair competitive advantage or lead to imbalanced growth,” he said. But the IMF’s sister organization, the World Bank, benefited from a U.S. change in tune. The development lender is on track for a $13-billion capital increase after the Trump administration dropped its objections. Under a deal announced Saturday, the bank will cap its wage growth and gradually cut lending to China — a move the U.S. was seeking. The IMF meetings also wrestled with the market dominance of online giants such as Amazon.com Inc., Facebook Inc. and Alphabet Inc.’s Google unit. It’s been a year of closer scrutiny for tech firms. Facebook has been under fire for allowing data from millions of users to be obtained by a firm linked to Donald Trump’s 2016 election campaign. Meanwhile, Trump has attacked Amazon for not paying enough in taxes and not paying enough in fees to the U.S. Postal Service. Lagarde said “too much concentration, too much market power in the hands of too few is not helpful.” But she stopped short of calling for tech giants to be broken up under anti-monopoly laws.